Bradley has been happily married since 2004 with one daughter. He has been with Franklin Loan Center since 2007 and in the mortgage industry in 2004. 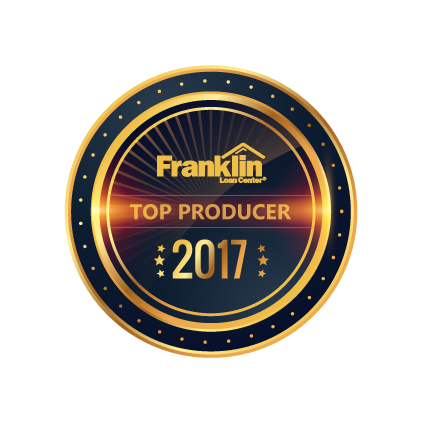 Since 2011, Bradley has been listed as one of the top of the 10 producers at Franklin Loan Center. In his previous life, he was a professional Firefighter/Paramedic for 16 years with 14 of those working for a local fire department as well as a member of the local SWAT team as a medic for 4 years. Bradley carries the honesty and integrity acquired in those fields to the mortgage industry. Bradley identifies the individual needs of his clients and finds the specific loan program to meet those needs. Just sending you an email tell you you have an awesome employee in Brad Mullen. He called my buyer from his Vacation to help me out. I called another lender that didn’t get back to me. But I texted Brad and he called me from his vacation and called our new client from his vacation. Brad is Awesome.. THANK YOU FOR HAVING GREAT LOAN AGENTS LIKE BRAD MULLEN!! Bradley and his team were able to pull off the impossible. My home buying process was a year long nightmare before I switched to Franklin Loan. Because of the amazing job Brad & team I will definitely be a repeat customer. Awesome! We are new home owners because you made the process so easy and seem less from start to finish. I want to thank the whole team in getting us into our new family home. Our mortgage advisor was Bradley Mullen, and he was SO helpful and calm and patient throughout the entire process. I was able to get all of the answers to my many questions and was able to put my complete trust in him, which was very important during this sometimes confusing process. He explained things in a very thorough but easy to understand manner and kept open and available lines of communication with me and my realtor. We also had a very positive experience with Andrew (didn’t get the last name), and Brad’s assistants Lorrie and Paulette. I am so glad that I was referred to your company by a friend and I will most definitely do the same when the opportunity arises. Brad did an excellent job of completing this transaction after another lender whom I have used three times in the last five years was not able to complete it.We had often stated that we would not buy a residence on Indian leased land unless it was at this particular place. With Brad’s knowledge of the process it was completed in a relatively short time.We will definitely refer people to him. Additionally, we plan on buying an additional property in the area within a couple of years, and will definitely look to Brad for available products. — Sean and Andrea O. — John and Sandra S.